There are opportunities to be found amidst crises, so the saying goes. How’s a military coup in Africa for a crisis? The Malian army led by Lieutenant Konare announced on Thursday that the country’s constitution has been suspended and that all state institutions have been dissolved. This does not bode well for West Africa-focused Randgold Resources (NYSE: GOLD) which has 3 operational mines in the country: Morila, Loulo, and Gounkoto that are responsible for approximately 65% of 2012E production. Shares were down ~12% on the news. The stock also saw significant volatility in 2010 when there was political unrest in the Ivory Coast—shares dropped over 20% in the ensuing months. Prior to the uprising, we were optimistic on the upcoming April elections. The incumbent president, Amadou Toumani Tour, had agreed to step down and the other main candidates showed no indication that they would try to radically change the status quo. Since 1992, Mali has held four successful democratic elections. We believed GOLD’s mines to be located favorably, away from the Azawad region, which was where recent rebel skirmishes have been reported. That quickly changed with this the military coup announcement, and it is very likely the share price will continue to fall given the political uncertainty. Neighboring countries have not yet publicly reacted, making it difficult to gauge the extent of the regional instability. The coup began on Wednesday when Mali’s defense minister visited barracks north of the capital city, Bamako, to discuss the Tuareg rebellion. By Thursday morning, the mutineers had gained control of the presidential palace and seized the state radio. Mutineers consider the government incompetent and complain of the lack of proper weaponry to combat the Tuaregs who number ~1.5 million across Algeria, Libya, Burkina Faso, Niger and Mali. Fighting has intensified since Tuareg militia returned to Mali and Niger after fighting for Gaddafi in Libya. Causalities and the location of President and his ministers are unknown. It is unclear if the mutineers will hold elections or if they will attempt to impose military rule for an extended period. Though a committee has been formed by the army to organize new elections, elections will probably not take place in April as planned. It is also unclear as to the long-term impact on miners like GOLD. There is a wide range of potential outcomes with the worst being repossession of the assets under a new government. More bad news for GOLD came when the Minister of Mines for the Democratic Republic of Congo (DRC), Martin Kabwelulu, announced that there will be changes to its mining code to increase tax rates and to raise the government stake in mining projects. GOLD’s Kibali project (GOLD holds 45%, AngloGold (NYSE: AU) holds 45%, and the government holds 10%). Kabwelulu mentioned a 5% government stake in mining projects, but since the government already owns 10% of Kibali, higher taxes seem to be the larger risk. Here, there is also uncertainty as to the effect on GOLD and other companies engaged in West Africa like Banro Corporation (NYSEAMEX: BAA), which opened down ~3% on the news and IAMGOLD (NYSE: IAG), which opened down ~2%. GOLD management released a statement saying that it is keeping a close eye on any developments in Mali. CEO Mark Bristow, who is currently at the Loulo complex in Mali, indicated the climate to be calm but did not comment further. Management will make a statement once it has obtained more clarity on the situation. In the meantime, he reported that operations at Morila, Loulo and Gounkoto have been running normally. From a fundamental perspective, GOLD still looks strong as does our South African pick AU, (see more Why Paulson likes AngloGold). In the first nine months of 2011, the Company showed a 301% increase in EBITDA, a 356% increase in net income, and a 352% increase in EPS. Over the past year, GOLD has achieved a number of milestones including the successful commissioning Tongon despite instability in Cote d’Ivoire, delivering Gounkoto production ahead of schedule, stabilizing the Loulo underground development, and increasing its dividend by 100%. However, short-term weakness given the political risks is likely to outweigh financial strength. 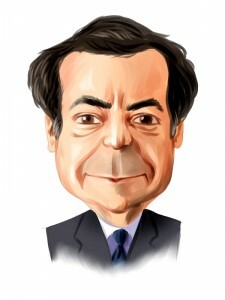 John Paulson, who owns GOLD in the Paulson Gold Fund, and George Soros are both bullish on the metal itself, but the mining business itself is fraught with risks. If political instability persists, the undervaluation of major and junior miners alike will also continue as investors are unable and/unwilling to stomach that risk. Though we think much of the risk has been priced in, we recommend waiting for additional guidance from management and more visibility on the coup before initiating a position. Are Gold Mining Stocks A Good Investment? Are Gold Stocks Good Investments? Hedge Fund:18 Military Coup in Mali Why are Gold Stocks Down?